That was the message of Gianrico Farrugia, M.D., director of the Mayo Clinic Center for Individualized Medicine, speaking as featured panelist at the 2013 Meet the Innovators Forum at the Chicago Cultural Center. The April 25th event was part of the Edison Awards program dedicated to recognizing, honoring and fostering innovation and innovators to create a positive impact in the world. 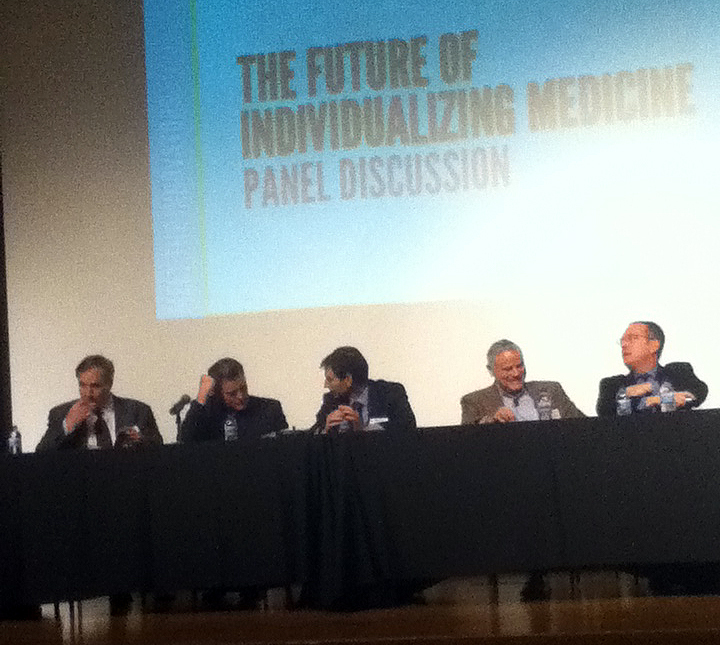 “Today the promise of individualized medicine has become a reality," said Dr. Farrugia to the forum. "We have gone from talking about it to making it a part of patient care.” To illustrate the power of personalized or individualized medicine, Dr. Farrugia introduced the forum to four patients being treated through the Individualized Medicine Clinic at Mayo. First, Dr. Farrugia introduced a young patient who had been treated for depression unsuccessfully and who had suffered extensive side effects until he arrived at Mayo. In a video, the patient’s mother said that Mayo seemed like their last resort after 16 years of difficulties with medications. Within two months, Mayo deciphered his needs through an individualized medicine approach, which recognizes that the same medications can have varying results and cause different side effects in different people, she said. Through power of pharmacogenomics, physicians tailored his medications and dosages to achieve the best results, making a significant difference for this patient. Dr. Farrugia's second example was a patient with an advanced tumor of the bile duct. Using genomics to identify protein fusion, physicians discovered that the tumor could be successfully targeted for shrinkage. This is an example of the fact that tumors must be controlled and killed differently in different people, Dr. Farrugia said. Next, Dr. Farrugia described a “diagnostic odyssey” involving a family where three generations suffered from kidney disease -- a grandfather, father and young son. The disease was identifiable, but the cause had not been isolated. Through Mayo’s individualized medicine program, the three generations underwent gene sequencing to determine how to prevent future children from having the gene mutation. Finally, Dr. Farrugia described a patient who suffered from intestinal problems for years until it was figured out at Mayo that certain medications were causing the problems. This, again, he said was another case that was explained through individualized medicine. Dr. Farrugia was part of a Mayo delegation attending the program where Mayo was recognized with 2013 Edison Awards nominations for two separate innovations. Mayo was nominated and was among the award finalists for Mayo Clinic Patient App and the Asthma Connected Care App in the Innovative Services/Health Management category. The Mayo Clinic Patient App received the gold award and the Asthma Connected Care App received the silver award in their category.